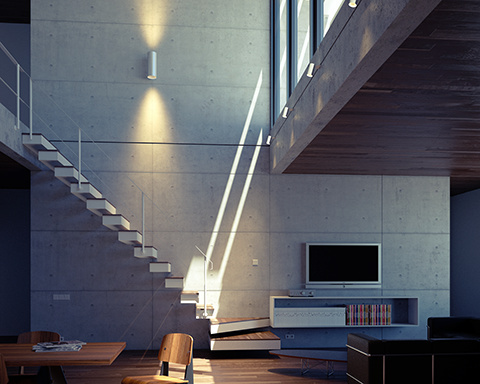 Photorealistic visualisation with Indigo is now more powerful than ever, with many new features and improvements that build on its world-renowned rendering core. 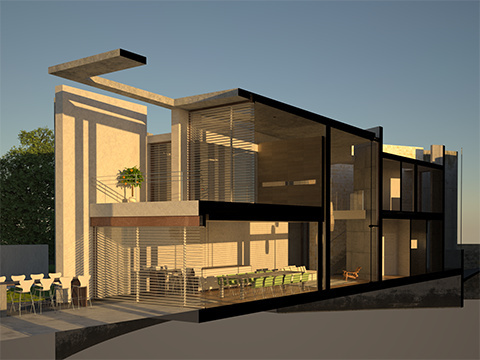 Arch-viz professionals in particular will find tremendous value in the section plane and orthographic camera features, which allow for incisive views into complex scenes without any complex scene changes. Support for accurate IES lighting has been greatly improved, and numerous core optimisations deliver a large boost in rendering efficiency that feels like a free computer upgrade. 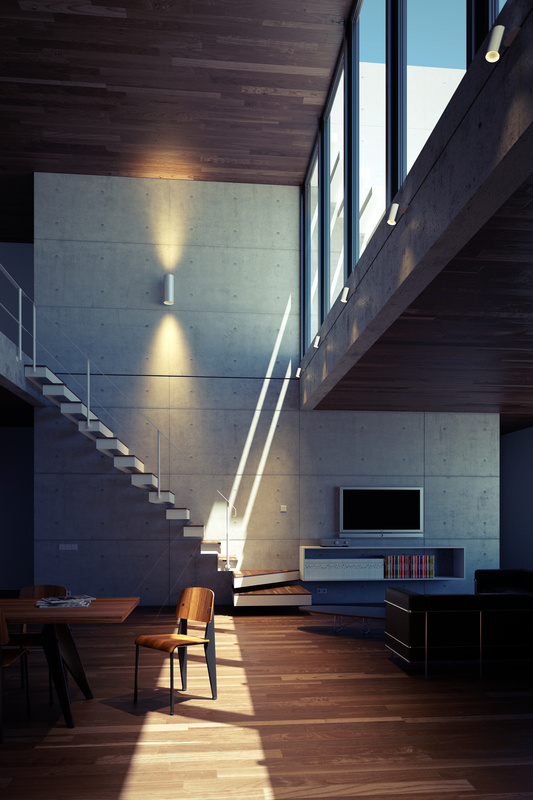 Indigo 3.4 introduces support for section planes, a powerful visualisation tool that lets you slice away sections of a model or scene to show an interior view. This is achieved in such a way that the scene data isn't actually modified, allowing for quick and painless cut-away imaging with one or more section planes, which can easily be adjusted or disabled. Section planes enjoy broad support in modelling applications, including SketchUp, Blender, Cinema 4D and Revit. Read more about the section planes feature. 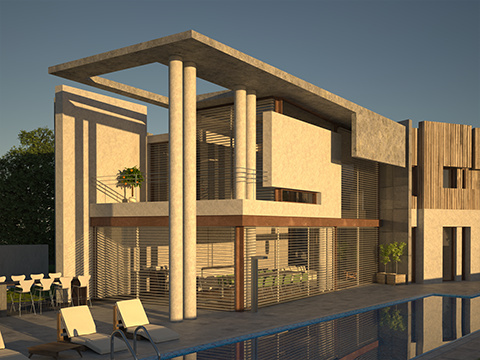 Another powerful tool for technical and architectural visualisation is the ability to render without perspective effects, i.e. using an orthographic camera. 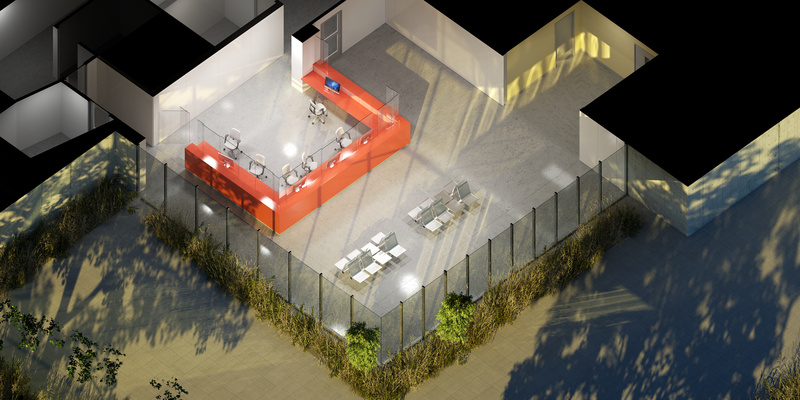 Using an orthographic camera for rendering makes it easier to judge proportions, and can give a more technical feel to rendered images; building plans can be brought to life with realistic lighting and handling of glass, while maintaining the isometric viewing style. Garden Lobby by Tom Svilans (StompinTom). If only Theme Hospital looked this good! Normal maps are an alternative to bump maps for producing detailed lighting variation on surfaces, without creating extremely fine (and memory-consuming) micro geometry. Many modelling applications have support for normal maps, and Indigo is now able to directly use these. 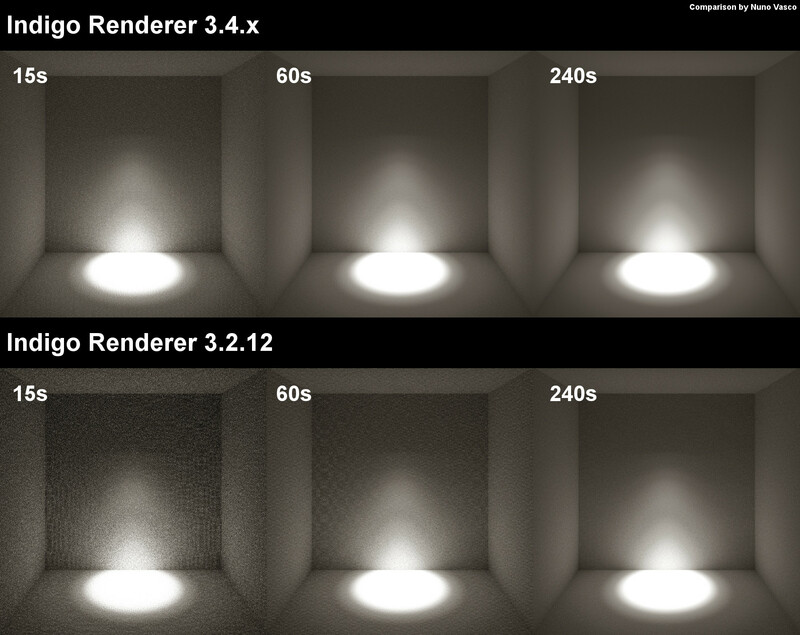 Normal maps render faster and can express features more accurately at a given resolution than bump maps. 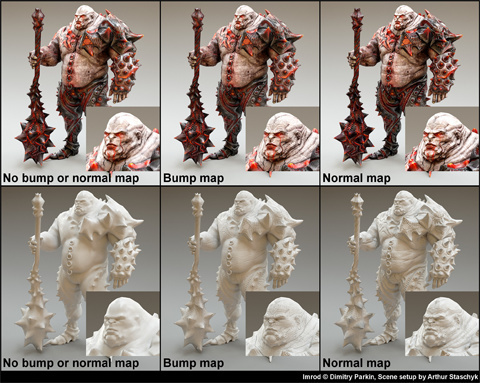 Comparison between bump and normal maps. Model by Dmitry Parkin. 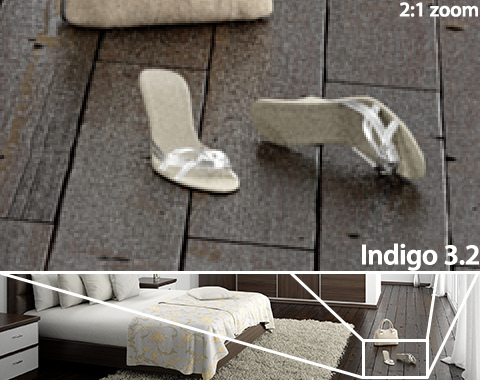 Thanks to algorithmic improvements in the rendering core, Indigo renders converge to a noise-free image much faster than before using bidirectional path tracing. Further performance enhancements to the core have yielded up to 25% higher samples/second on a variety of scenes. Together, these improvements make a marked difference in overall rendering speed; to see this difference visually, move the mouse over the image to the right. Equal time comparison. Scene by Arthur Staschyk. Support for IES light profiles has been greatly enhanced: all IES profiles are now supported, and the convergence speed is dramatically improved. Even extremely narrow, laser-like sources now render efficiently, ensuring that your architectural scenes are robustly handled. Click here to see an equal-time comparison. Indigo 3.4 officially introduces native integration of Indigo into 3ds Max via an all-new, high performance C++ plug-in: Indigo for 3ds Max. Native integration means that you'll be able to work completely within the familiar 3ds Max interface, while still having the flexibility to export and render externally with the standalone Indigo application. The other exporters have also been refined and polished, and their documentation extended. 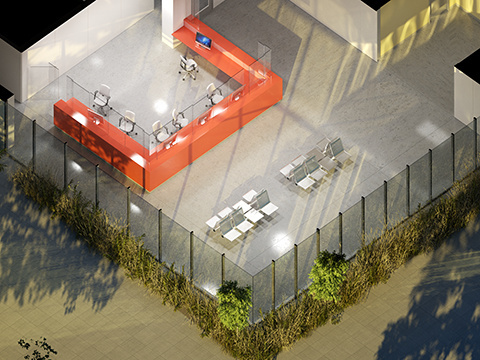 SkIndigo in particular has been highly praised for its ease of use and excellent integration with SketchUp (see quote opposite). The user interface has been improved in features and responsiveness, aperture diffraction is much faster and uses vastly less memory, OpenCL performance has been greatly improved on both Nvidia and AMD hardware... Click here for a full list of the changes since Indigo 3.2, and look out for many more features to come, such as double-sided thin materials! 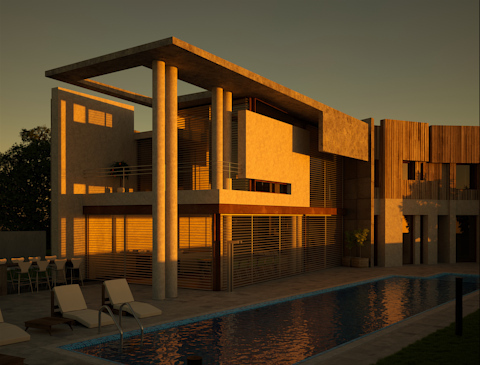 Indigo 3.4 is free for Indigo 3.0 owners, and is available on Windows, Mac OS X and Linux, with exporters for Sketchup, 3ds Max, Revit, Blender, Cinema 4D, and Maya. Please contact sales@indigorenderer.com for sales enquiries, or contact@indigorenderer.com for general enquiries.